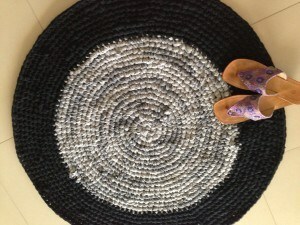 Crochet Floor rugs, What's in the linen cupboard? What’s in the linen cupboard? Crochet floor rugs, or rag rugs can be made from up cycled linen. 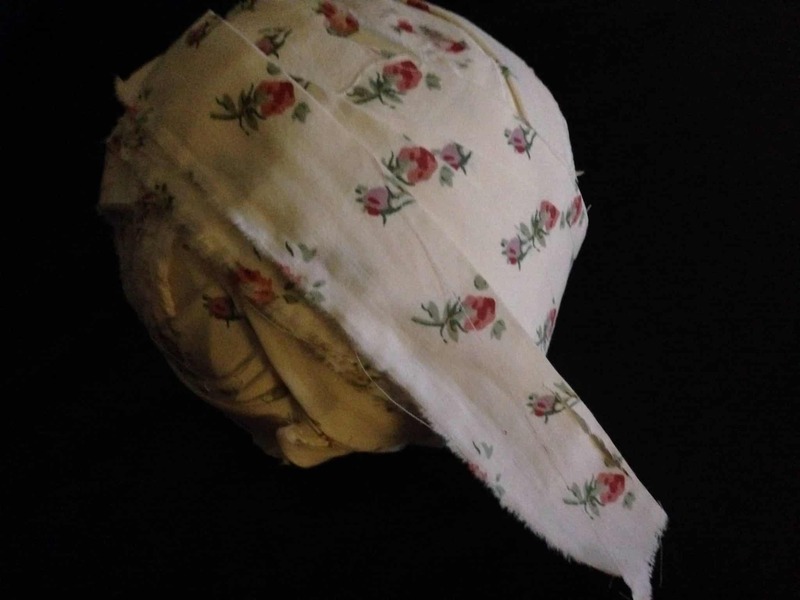 Do fabric scraps have to be small? I don’t think so. The linen cupboard may be a great place to find scraps. There are those sheet sets that seem to be too good to throw out, but somehow never end up on the bed anymore. Especially the fitted sheet which wears more that the top sheet, or the quilt cover that just somehow does not match anything anymore. 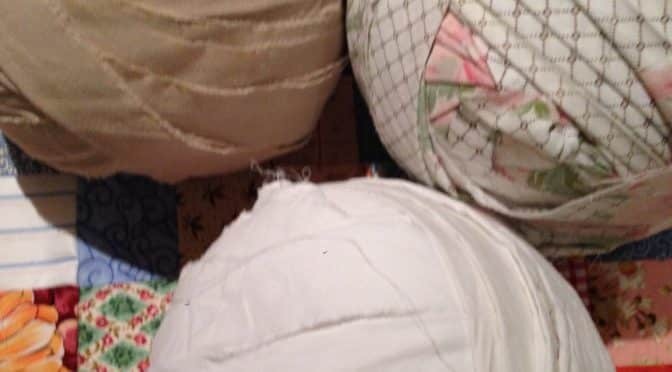 These sheets and quilt covers can be turned into fabric yarn. They can be varied in width depending on the use. Of course the yarn does not need to be made from recycled linen, it can be made from new yardage, but fabric is expensive! I like to make 2″ strips. Make them into fabric yarn balls! It can be crocheted into really lovely floor rugs. They are very soft underfoot. They are thick, warm, durable, absorbent and hygienic. When they get dirty just wash in the washing machine and dry well. They will last for years. Remember, maybe don’t go too large, as it may not fit into the washing machine. A good rule of thumb is – however many sheets can normally comfortably fit into the machine, is about the amount that can be crocheted into floor rugs. Make the most of your scraps.